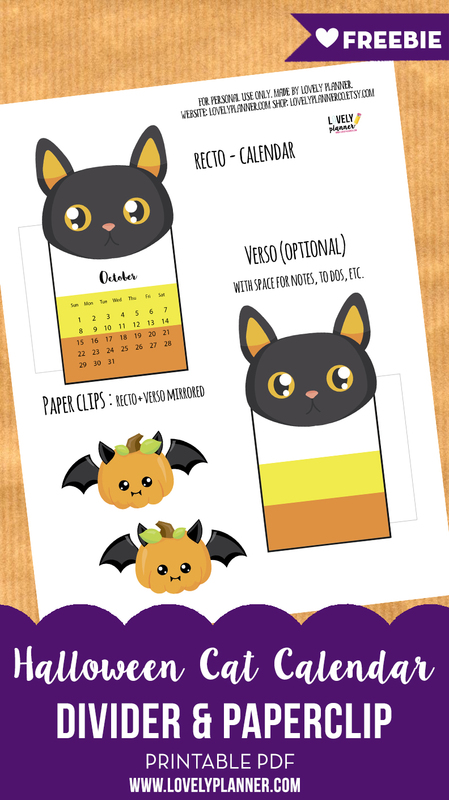 It’s time to discover the new printable calendar divider I’ve prepared for October! 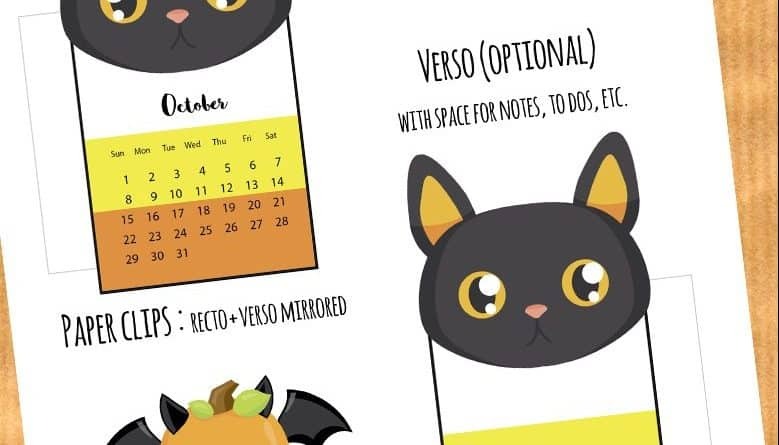 Now that I’ve moved from France to California I can see even more how big Halloween is here in USA and so of course it seems only fit to dedicate this month’s calendar divider to Halloween theme. I’ve been here for 3 weeks now and we’re still settling in. I’ve been struggling with a pretty bad internet connection but this should get resolved soon and hopefully in october i’ll have more time (and a better internet connection) to create more things for Lovely Planner. 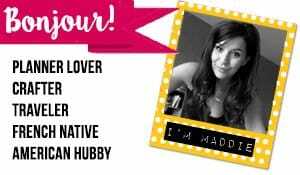 But anyway, I wanted to make sure you’ll get this month’s calendar in time! I really hope you like this month’s calendar! Let me know what you think! , but you’ll need alcohol to rub off your writings. The pens I have are in size F. I’m going to write an article on this erasable system! I plan on using a different animal (or other cute thing) shape every month, according to the season, etc. How to assemble your paperclips? Can’t find the cat download in the library. 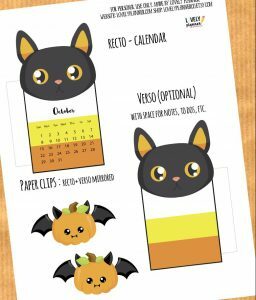 You can download this printable (and all the others) from the Free printables library 😉 These monthly calendar dividers are for newsletter subscribers only. You’ll receive a password to access the freebies library when you subscribe to the newsletter. Thamk you! Welcome to the US! So cute. . . Thank you for sharing! I love this stuff, thanks for the invite!